appropriate and very stylish. You can never go wrong with this amazing style. 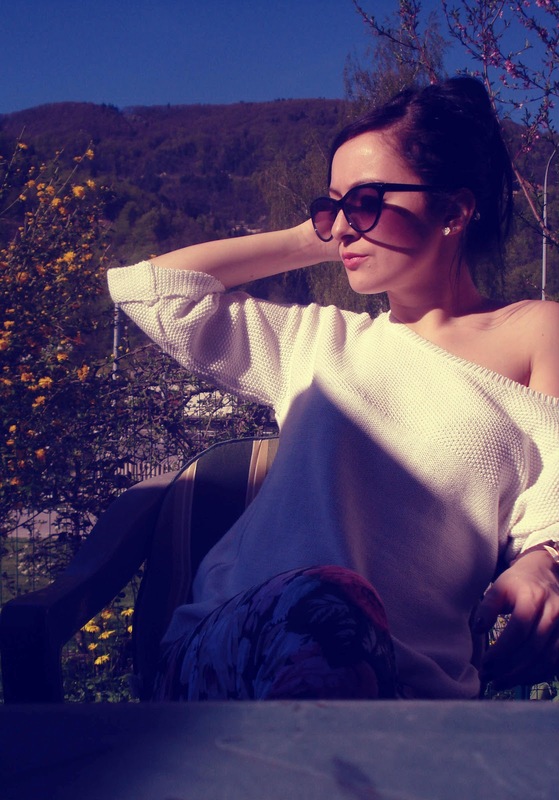 Wearing: Mango sweater, Naja leggings, H&m shoes and sunglasses, random watch. loe the floral pants. way to go floral power. Thank you for visiting my blog and for the sweet thoughts. 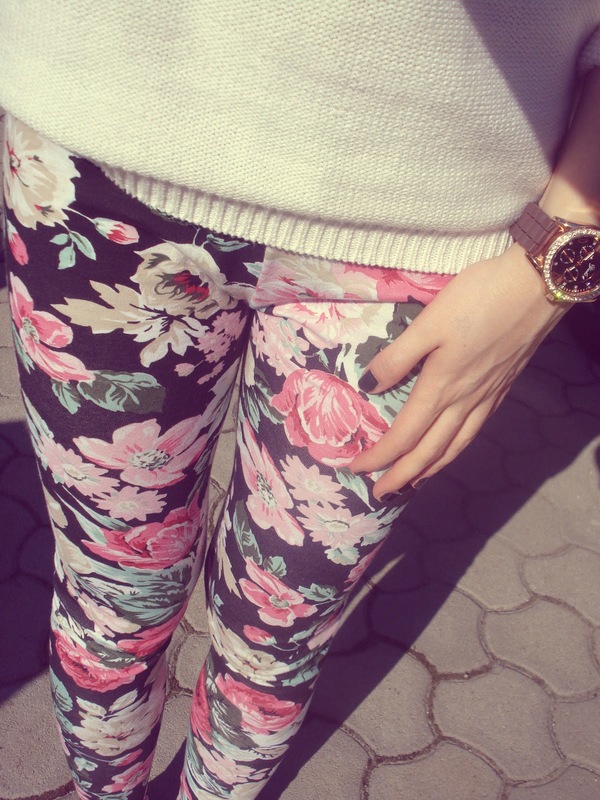 Love the floral print leggings and how you have styled them! Lovely shoots, I like them a lot! Lately I've seen some old pictures of my mother.. already 30 years ago this style was unfailable, she still got her floral leggings since then! But it's like you said it: this look is always stylish. And it looks super cute on you, the white, simple sweater goes great with the leggings! I followed you on GFC and Bloglovin' because I really like your blog! Could you take a look at my blog (I'm new to blogspot) and maybe follow back if you like? I'd really like to keep in touch with you! I love your flower legging, pretty.